There is no denying the fact that the Toyota Fortuner has ruled the SUV segment for years now. 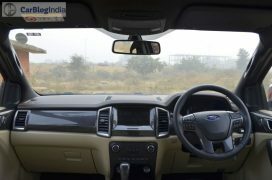 However, earlier this year, Ford brought the very capable new Endeavour to India. That along with the Chevrolet Trailblazer did manage to eat into its sales. 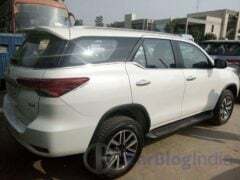 Now, Toyota has launched the new Fortuner in India, which promises to be much better than the car it replaces. So will it continue to dominate the market? 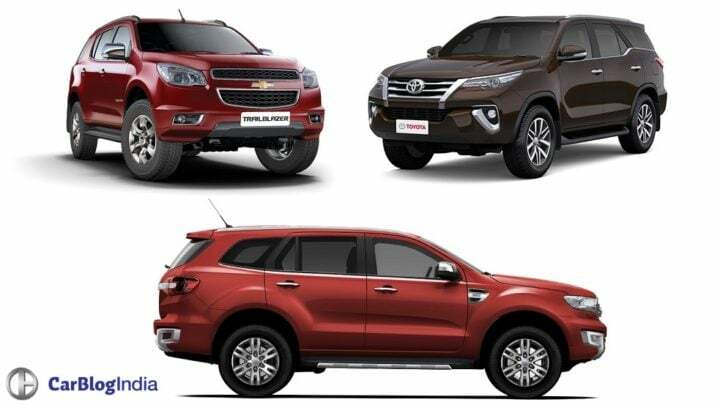 Find out here in our New Toyota Fortuner vs Ford Endeavour vs Trailblazer Comparison comparison of specifications and prices. 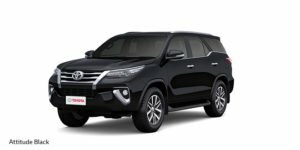 The new Toyota Fortuner range starts at Rs. 25.92 lakh for the base petrol model and goes all the way up to Rs. 31.12 lakhs for the diesel automatic with 4×4. 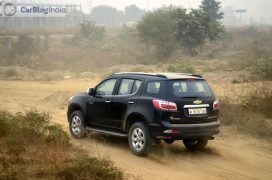 At the time of launch, GM has priced the Trailblazer at Rs. 26.4 lakh. However, it is now on offer with a huge discount of more than 3 lakh Rupees. This makes it one of the cheapest offerings in the segment. 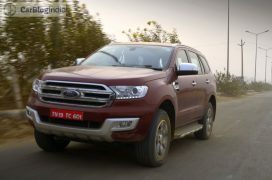 Ford recently gave Trend variants of the Endeavour a price cut. 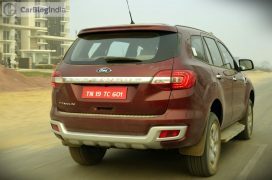 The new Ford Endeavour now starts at Rs. 23.78 lakh. 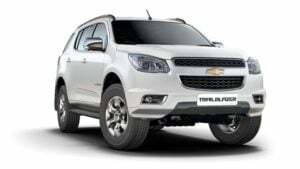 Chevrolet sells the Trailblazer in only one configuration with a 2.8 L diesel mated to a 6-speed automatic transmission. 4WD is not available as of now. 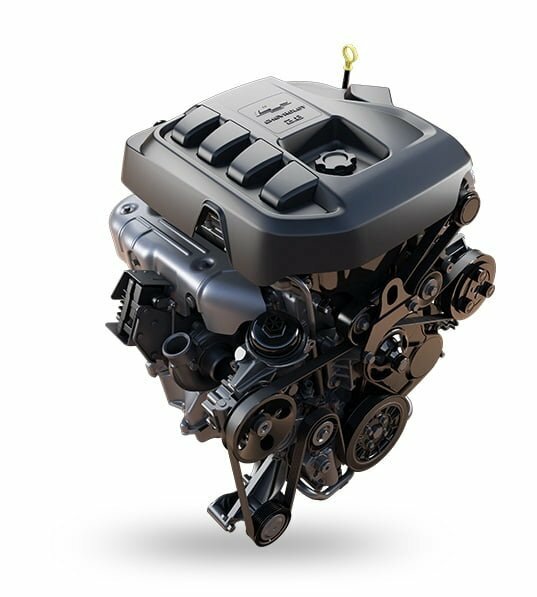 The Fortuner and Endeavour get two engine options each. However, only the Fortuner here is available with a petrol engine option. 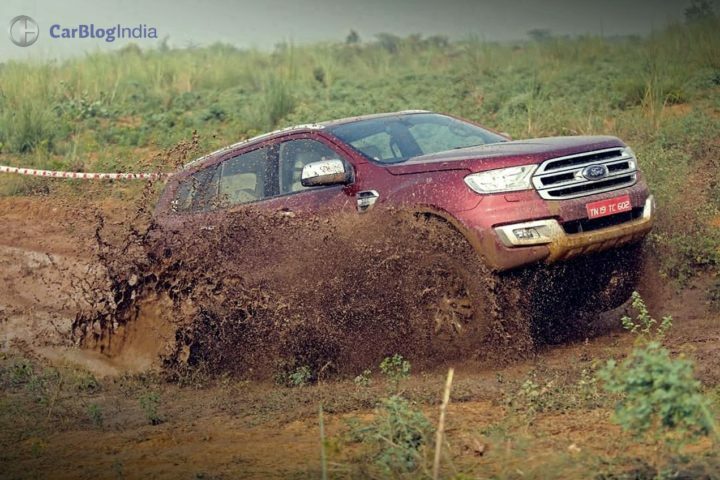 The 3.2 L Ford Endeavour is more powerful than the 2.8 L Toyota Fortuner. According to ARAI test figures, the diesel manual variants of the New Toyota Fortuner are the most fuel efficient in this comparison. In terms of overall dimensions, the new Fortuner is the smallest one here. 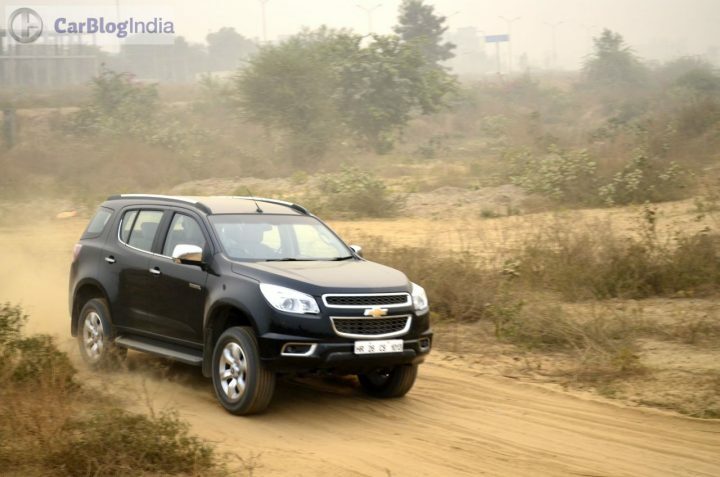 Chevy’s Trailblazer boasts the highest ground clearance. All three SUVs get almost all the basic features one would expect from a vehicle costing upwards of 20 lacs. This time around, the Fortuner does not skimp out on features like the previous gen model. However, it still misses out on a sunroof. Top-end Endeavour features a panaromic sunroof. All three SUVs follow a similar design principle of being big, bulky SUVs. They are characterised by chunky wheel arches, a high set bonnet and beefy tyres- pretty much what the public demands. However, in terms of pure muscle, the Fortuner seems to be on the backfoot here. That said, it still looks very sharp and offers tremendous road presence. We perefer the way the Endeavour looks over the new Fortuner’s flashy exterior. The Trailblazer will get a facelift early next year. The interiors of the new Fortuner feel very modern and luxurious. The usage of dark material gives the cabin of the Fortuner a classy touch. The dashboard of the Trailblazer and the Endeavour get very clean, straight lines and come finished in black and beige. The Endeavour’s cabin looks a bit more premium than that of the Trailblazer’s. 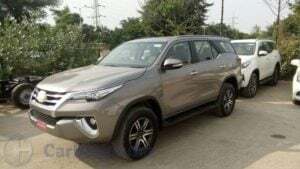 With the launch of the Trailblazer and the new Endeavour, the Fortuner is surely came under some serious threat from these two new products. However, the new Fortuner is a vastly imporved product and should be able to continue the Fortuner’s dominance. However, price could play a crucial role here. 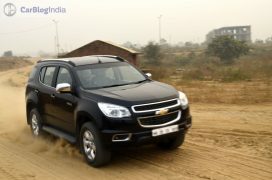 And based on that, the Ford Endeavour and Chevrolet Trailblazer seem better value for money. Price- The new Fortuner is pricier than the Endeavour and Trailblazer. Ford has priced the Endeavour very competently. There is a difference of about Rs 1.5-2 Lakh in the prices of the models of these two. Clearly, Ford and Chevrolet have already won the price war. Specifications- Clearly, the top model of the Endeavour is more powerful than the top-end Fortuner. However, the Trazilblazer outclasses these two in terms of sheer power and torque. But it misses out on a 4×4 setup. Dimensions- The new Fortuner is the smallest of the lot. Exterior Design- While design is a matter of personal choice, we pick the Endeavour over the new Fortuner. This is simply because the clean surfaces combined with modern design elements translate into a SUV that looks really daunting. In comparison, the Fortuner’s design, while thoroughly modern, isn’t as aggressive. Interior Design- Much like the exterior, even the interior of the Endeavour is better. It is cleaner, more spacious and probably more premium too. Feel free to express your views on our New Toyota Fortuner vs Ford Endeavour vs Trailblazer Comparison via the comments section below. And stay tuned to Car Blog India for more news and reviews.